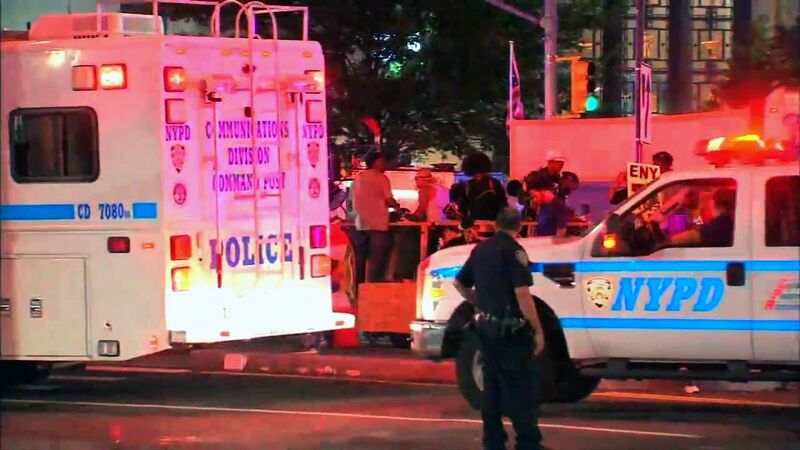 CROWN HEIGHTS, Brooklyn (WABC) -- A suspect has been arrested in one of the murders along the J'ouvert Festival parade route in Brooklyn over the holiday weekend. Two people were killed, despite the fact that the NYPD doubled its presence at the celebration. 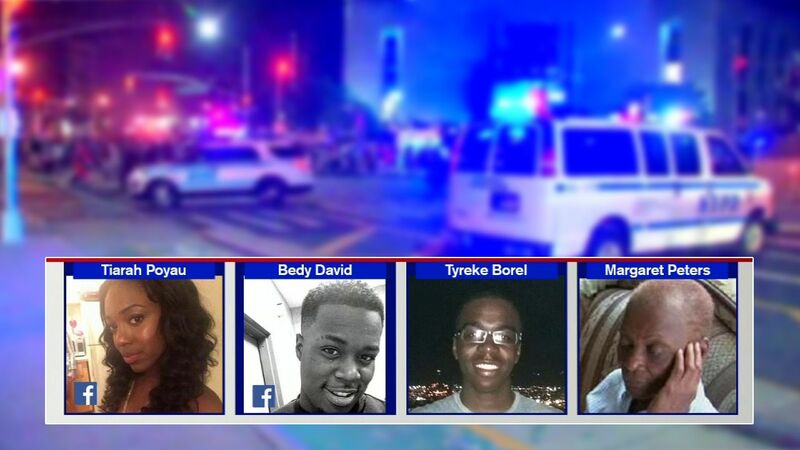 Authorities say 17-year-old Tyreke Borel and 22-year-old Tiarah Poyau died near the parade route early Monday. Reginald Moise, 20, is charged in connection to Poyau's murder. "Right now, he is being charged with murder two, depraved indifference, for shooting Tiarah Poyau," Chief of Detectives Robert Boyce said. "That's where we are right now. We still have a long way to go. We have more ballistics and blood evidence to check, but we believe this is the individual going forward." To that end, Boyce acknowledged detectives still don't know much about who killed Borel. "Give up yourself, do the right thing," Borel's mother, Alima St. Clair, said Tuesday. "Because there are a whole lot of people who are grieving right now, a whole lot." The teen was shot in the chest on Empire Boulevard. St. Clair said she worried about her oldest child going to the festival this year and last. "You don't know who's in the crowd," she said. "What they have, it's scary." Poyau was shot at point blank range in the head. Moise reportedly told them he might have shot someone after crashing his car while driving drunk. "He might have shot somebody, that he did not know the gun was loaded," Boyce said. Police said that after firing the weapon and leaving behind .09-millimeter casings, Moise went to his girlfriend's apartment on Montgomery Street, fired two more rounds at a wall, cut his hand and left the weapon there. Later that morning, police found casings at the girlfriend's that matched the ones found near Poyau's body. Amid all the violence, some insist the festival should be canceled. But Mayor Bill de Blasio stressed that will not happen. "It is an event that is very important to the community, and about a quarter million people came," he said. "But we have to go through every conceivable way to make it safe." As for Borel, he would have started his senior year in high school this week. "My aunt just called crying, saying, 'Why, Tyreke, why,'" St. Clair said. City leaders added police manpower and worked with festival organizers to reduce the violence, but they were unable to curtail the violence. "If people are going to be out celebrating, we have to find a way to keep it safe," de Blasio said. "We're not ever going to turn our back on safety problems. We have to address them head on. And from my point of view, it's quite clear. There is a large celebration happening. We took a lot of measures this year. We have to take even more." The violence broke out in three locations as thousands filled the streets. Two other people were hurt in the shootings, including 72-year-old Margaret Peters, who was shot in the hand.